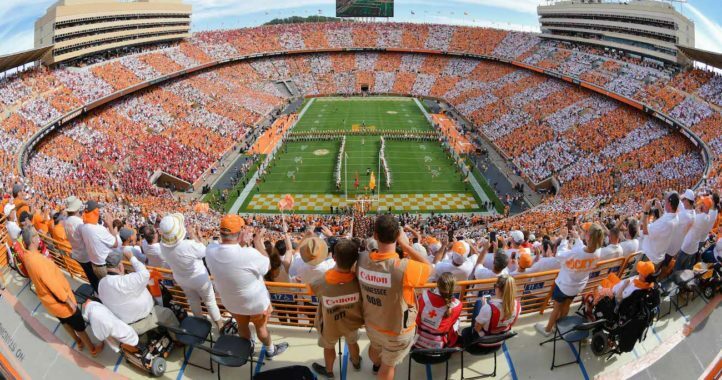 For Tennessee, the return to relevance has been a winding road. 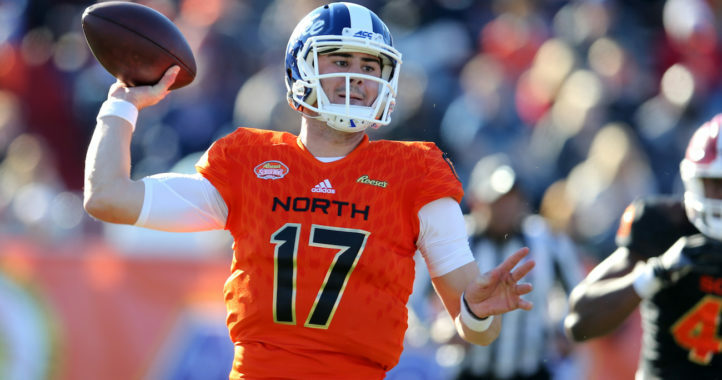 The Volunteers are improving year by year, and with QB Joshua Dobbs coming into his own, this might be the time to break through. Tissue? It’s in reference to the meme above. You’ve lost any credible argument against being a troll. You sir are a troll BamaTime. You came to this article just to antagonize. It’s an article about funny memes. Relax…. Also after looking at your post history you shouldn’t be pointing fingers. How many posts did you make about Bama and Saban to antagonize Bama fans? 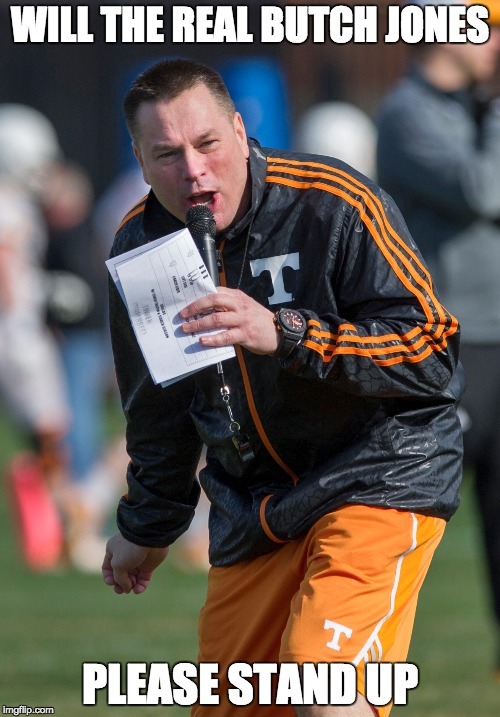 You even brought up Sabans daughter….You’re a real stand out character for sure. I just love that you reviewed his post history. 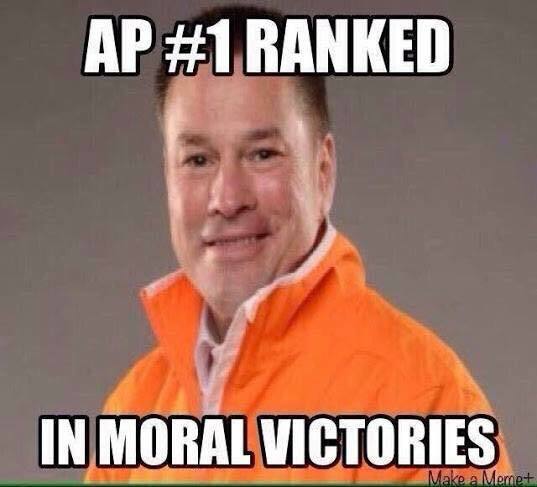 UT didn’t wind in the top 10 for all time victories by having a good team once in 10 or 15 years. UT did that by winning more consistently than just about any other team. Ever. 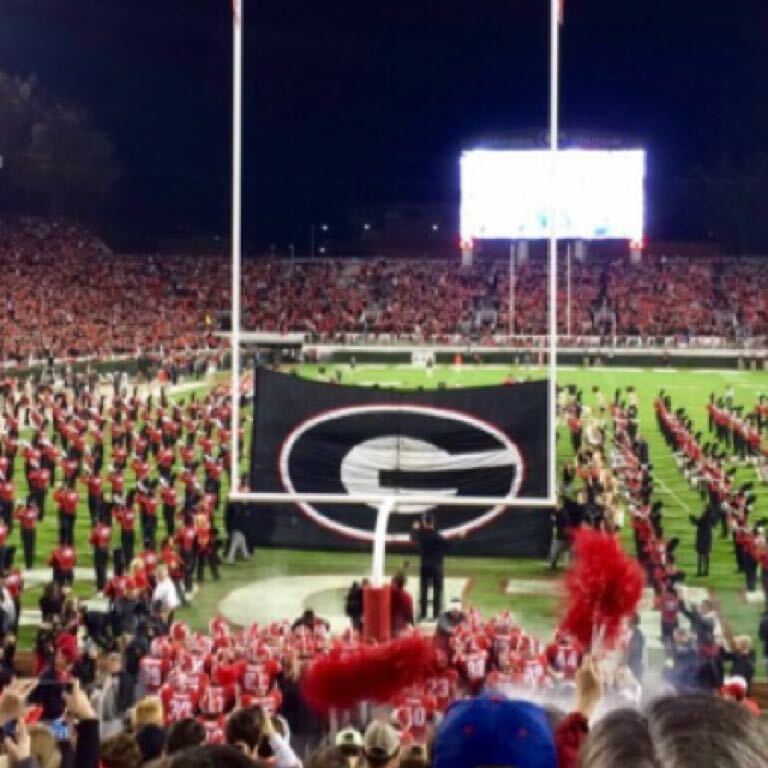 Bammer, Florida, Nebraska – many others have seasons where they zero and whatever. 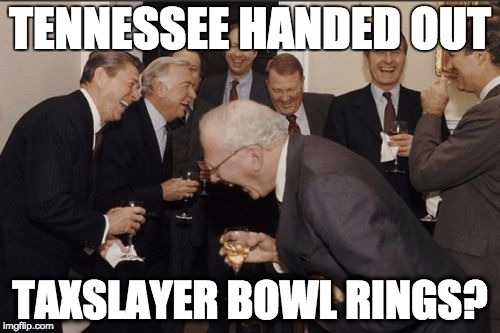 UT hasn’t failed to win at least 4 games a season in over 100 years. 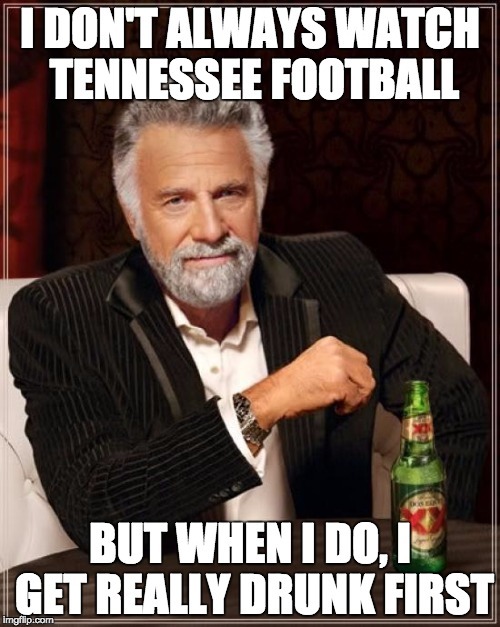 UT has 6 undefeated seasons. UF has NEVER had an undefeated season. Walt, you’re taking yourselves a little too seriously. 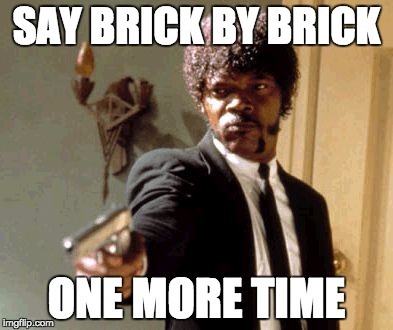 You’ve been stockpiling bricks for the better part of the last decade. 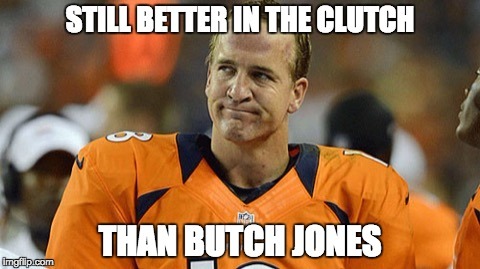 Just win everything already and do it without telling us you used to be good. You know who that was right? Better to have an outstanding record to build upon than not. Well CQ, we get tired of school’s with no discernible history to speak of, commenting on how school’s with said history choose to celebrate it. Captain of confederate Gorilla fighters. Come on now Keno, we’re responsible for safe spaces everywhere. 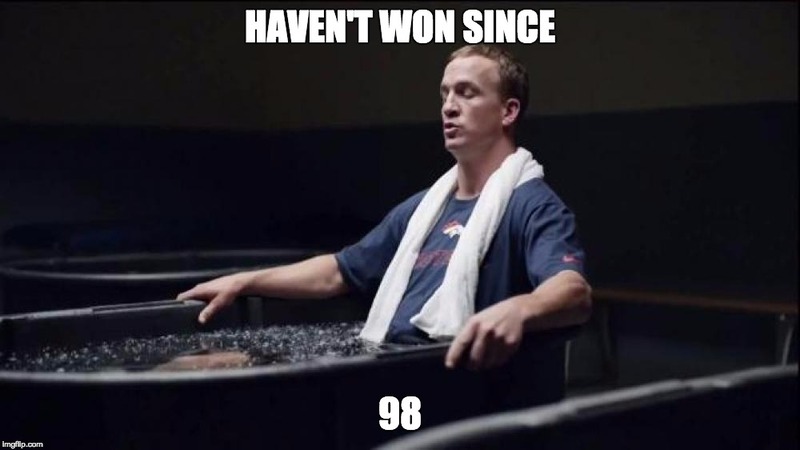 And honestly, deep in your heart I’m sure you’d rather come out on top this year than have to say how good you had it before Peyton graduated. Everything is cyclical; it all comes around, but please wait for the wave before you take off paddling. CG, I knew what you meant, and I’m glad you mentioned something about CFB being cyclical. I couldn’t agree more. And a lot of the times when UT’s past is brought up it is a reminder that everything will eventually come full circle in Knoxville again. 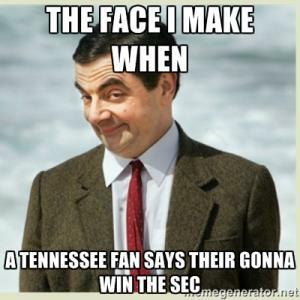 Take the UT-Bama series for example. It is a series of streaks for the large majority of its history. So, it would dictate that when Tennessee breaks through against he Tide, it will be the start of some type of win streak. Hopefully. I hope you kept our seat warm in our vacancy. 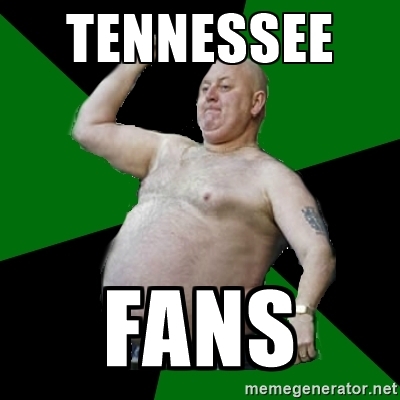 And once every 20-30 years, Kentucky manages to win a game against Tennessee. 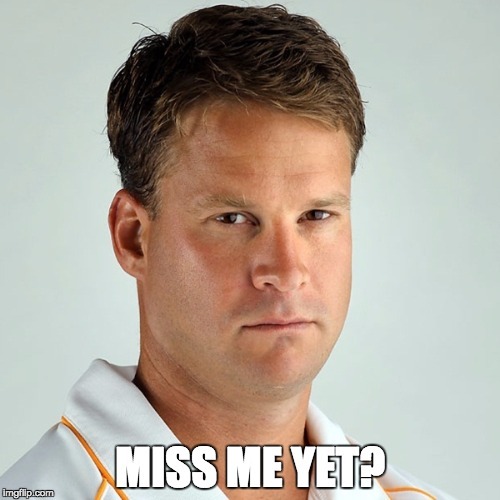 Lane Kiffin “Miss me Yet”…. where’s a damn like button when ya need it? That should complete the meme. Awesome! 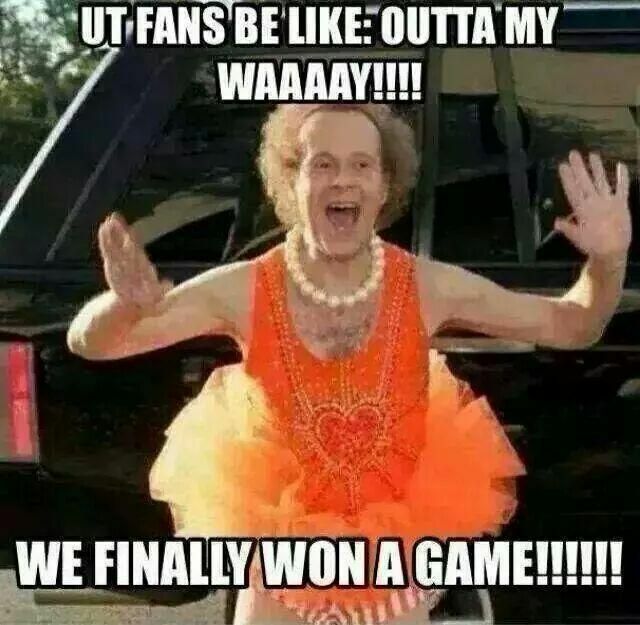 I still feel bad for UT fans over that douche. The best thing to come out of that was the video of a guy who took his Lane Kiffin T-shirt.. pissed on it, then set it on fire. Ok, am I the only person that read the first one as if I were listing to the Nationwide commercial? Naw I did too, that and the choking star trek meme were killer. We supply endless material to get baked I must confess. You mean, “…to get roasted?” Getting Baked is a whole ‘nother can of worms. I mean his screen name is bananna bread….. Indeed. And BB is my Vol Brother, but Banana Bread is gross. @bananabread all fan bases and teams supply ammo for others, thanks for being a good sport. 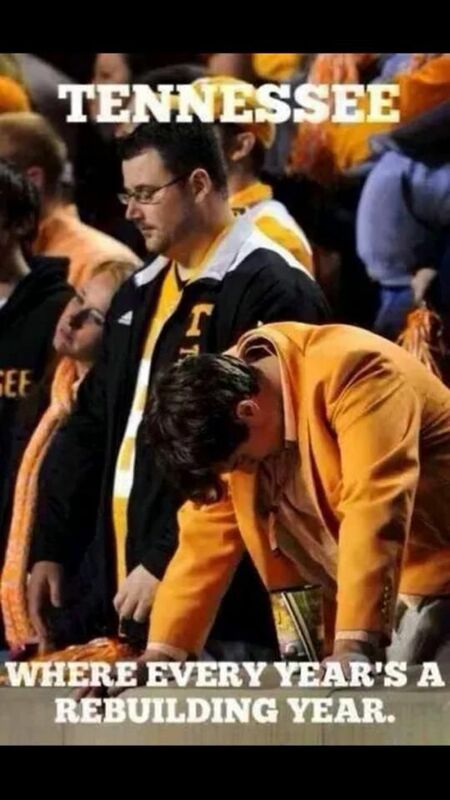 You represent the Vols fan base well. 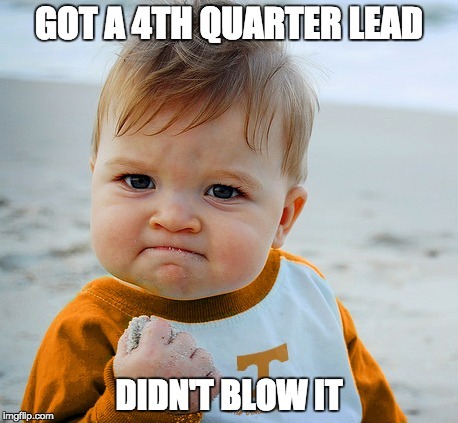 Thank you for not pouting and reminding everyone how great you were 20 years ago, or how every other team s*cks, or my favorite, how great the Vols are this season when everyone is 0-0. I’ll let y’all ponder on if I’ve accrued the Wildwood flower or not. Either way the lingo round my parts bake and roasted are interchangeable and lit or skleezed are the preferred terminology for being baked so to speak. And keno, watch yourself talking about bananabread, I’m almost certain it’s the bread Jesus used to feed the multitude. BLPB, no one cares, as usual. 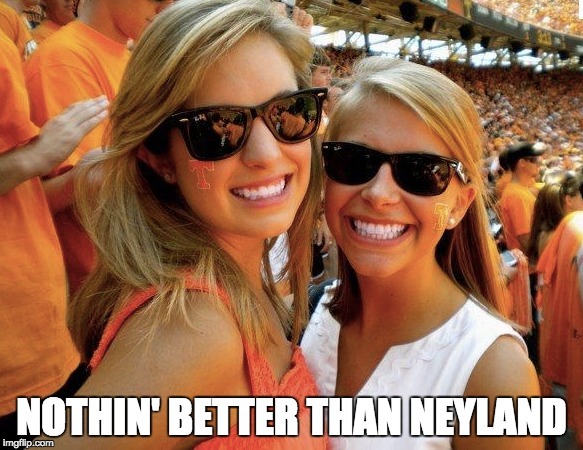 And Banana, we can agree on all things Vol Football at least. You goin to Bristol? @keno, my own personal troll, ty for yet another worthless, useless, and pathetic response with no substance. A seven nation army couldn’t hold me back from Bristol. All in good fun. It comes around. It goes around. When your team has winning records against Michigan, Ohio State and Florida State get back to us. 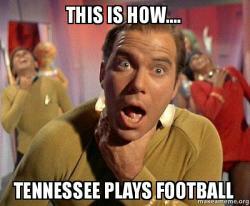 UT has the one unassailable record in college football. When your team shuts out every opponent in a season come around again. Exactly……what goes around comes around. 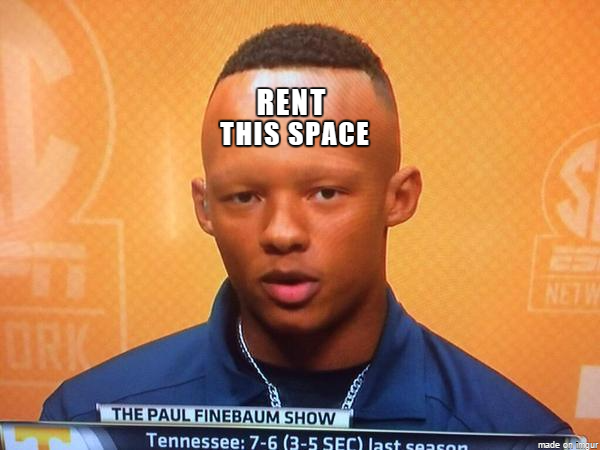 Where are his eyebrows. When his hair is short the kid looks like an alien. He has a disease that causes hair loss called Alopecia. If you have seen a photo of him since the end of last year he has no hair left. That is the effects of the disease. There are a couple of decent/funny ones in these, but by and large much weaker than the other schools’ memes I have seen on this site. CAN’T wait for all the talking to be settled on the field. One. I laughed shortly at one. Most of these are a waste of time . Until we start winning the big games again, we’re gonna have to put up with them. The Dos Equis one is pretty good.